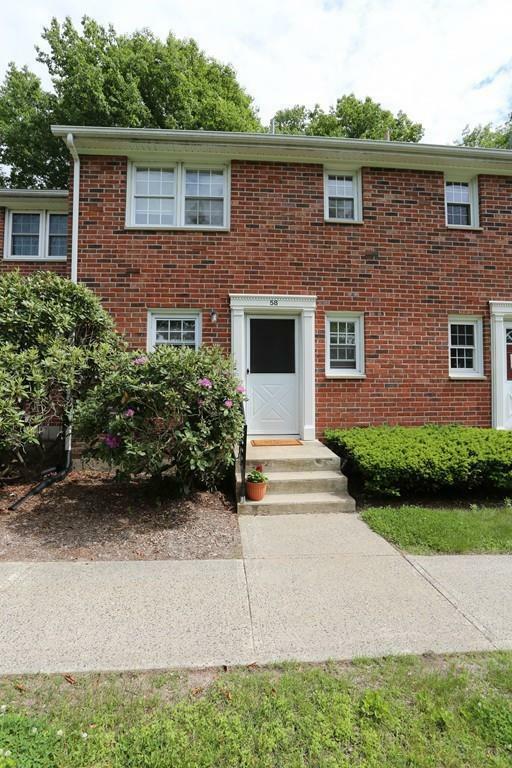 58 Hadley Village Rd #58, South Hadley, MA 01075 (MLS #72342080) :: NRG Real Estate Services, Inc. Location, location...Absolutely immaculate townhouse unit with private deck overlooking the woods. Expect to be impressed! Improvements galore have been made from top to bottom. Updated kitchen, updated baths, fresh paint everywhere, new flooring,replacement windows, newer hot water tank! The main level offers an entry way with a wall of closets, a work in kitchen with a breakfast bar and all appliances to remain for the buyers enjoyment, a half bath and open concept dining-living room that heads out through the sliders to the freshly stained deck. Head upstairs to find two generous bedrooms with tons of closet space and the main bath. Full basement with storage and laundry and the washer and dryer can stay too! Well maintained complex with recently refurbished inground pool. Easy access to local colleges, highways, shopping and restaurants! Make your appointment today!